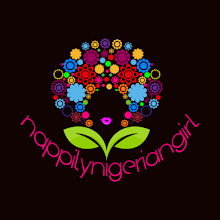 So....as promised in this post , I will be sharing my experiences and opinions about skincare products that are naturalista approved in that they are paraben free, sulfate free, mineral oil free, petrolatum free, pthalate free, cruelty free and made from natural, safe and gentle ingredients. My skin profile in summary is sensitive, acneprone and oily. 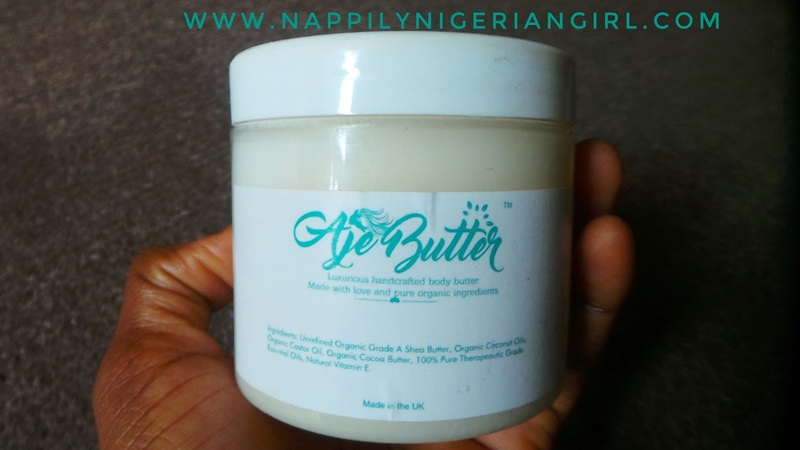 My first product review for the year would be a body butter by AjeButter. I was gifted this body butter by an Organic Skincare Online Shop based in Nigeria called BeautifullyNappy. The owner contacted me in May of last year to try out this product since it was in line with my goal of using natural, organic products for my skincare. 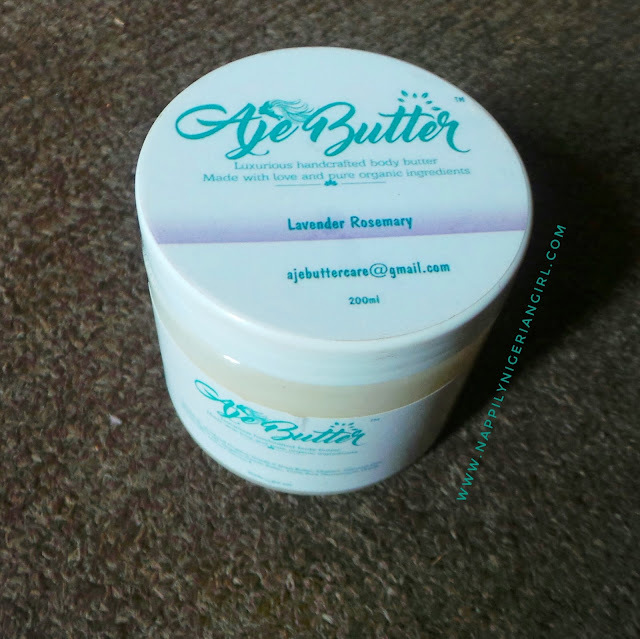 AjeButter Hair and Body Butter in Lavender RoseMary. Luxurious handcrafted body butter. Made with love and pure organic ingredients. 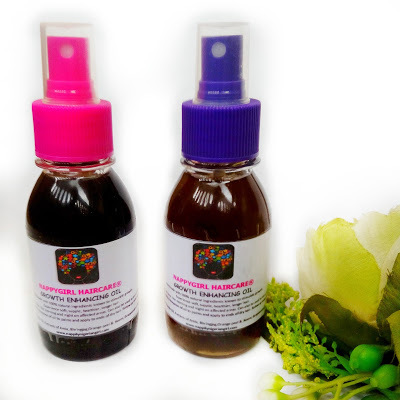 A combination of two versatile oils; lavender and rosemary. Lavender essential oil is a household favourite. 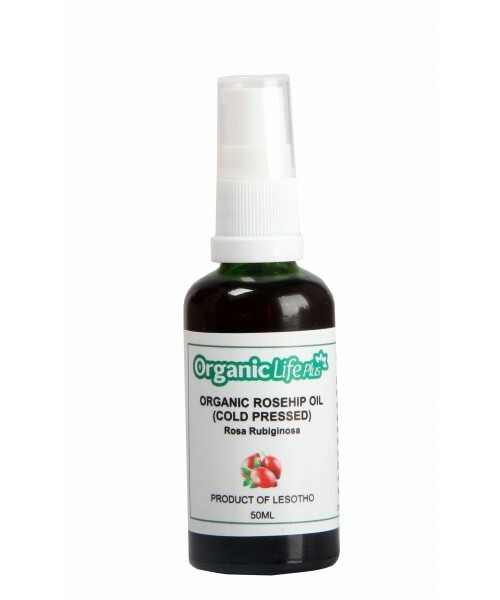 It aids sleep, calms the mind and helps reduce inflammation of the skin. It can improve complexion as it has anti-bacterial properties. Rosemary aids mental clarity and memory. It increases circulation and alleviates muscle and joint pains. It also helps to get rid cellulite and stretch marks. 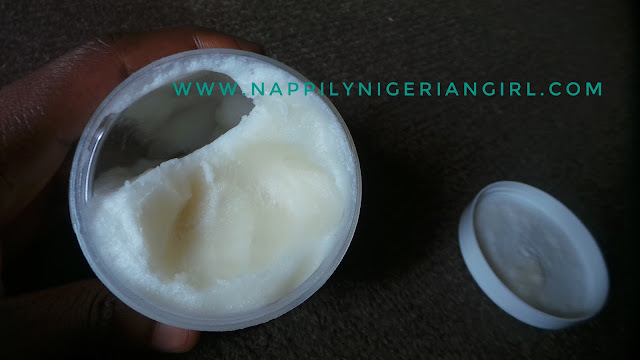 Shea Butter and Coconut oil heal and beautify the skin; natural emollients packed with antioxidants to protect your skin from harmful free radicals and encourage regeneration of beautiful skin. I was skeptical about this butter since it was shea butter based and had coconut oil....two ingredients that I'm wary of since they've been responsible for some acne flareups in the past. However, it could be used as a hair butter and the inclusion of rosemary and lavender oils which are said to stimulate hair follicles for hair growth was a win for me. While I could perceive the lavender and rosemary essential oils in the butter, the scent was not overwhelming for me. Nice and clean without being medicinal. The consistency of the butter was light and melted on contact with the skin quite easily. However for my skin, I found it too greasy as it did not absorb as well as grapeseed oil did for my oily skin no matter how little I used. I gave it instead to my mum who's in her fifties and has reasonably normal to dry skin. I requested a feedback from her after she had used it for two weeks and she said she liked the consistency and it worked well in trapping moisture to her skin immediately after she showered. This was our outcome when we tried it in May (rainy, hot and humid). Fastforward to harmattan season of Nov/Dec (it lasted that long!!!) where the weather is dryer, colder and dustier.....and this product was like GOLD. I finally got to appreciate it better for my lips, elbows, legs and feet!!! It worked well to trap in moisture especially when used immediately after showering! I finally understood what my mum meant! If your skin is on the dryer side, it does a pretty good job in sealing in moisture on the skin for longer especially when used immediately after a shower. Pretty good sealant for hair using L.O.C. method. Mineral oil free (good alternative to Vaseline), petrolatum free, paraben free, sulfate free, pthalate free, no artificial fragrance. I personally would not purchase this product because I found it too heavy and greasy for my oily skin. It is not water based nor does it contain humectants so doesn't make for an effective moisturiser when used directly on dry skin. This is exactly what I get when I use Shea butter. Heavy and doesn't absorb easy. Cocoa butter is light and absorbs on contact. But shea butter is great for harmattan. Funny how it is the exact opposite for me. Cocoa butter is too light but shea butter is exactly what my skin loves. 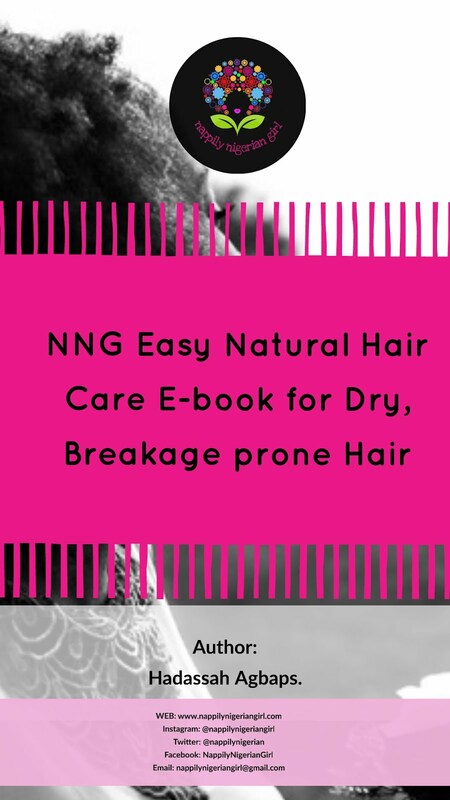 GET LONG LASTING OIL CONTROL WITH THIS PRODUCT! NEW YEAR; WAIST LENGTH HAIR!! !